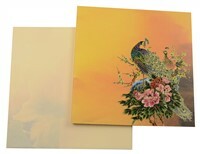 D-6486, Yellow Color, Multicolor Offset Cards, Designer Multifaith Invitations, Exclusive Invitations. 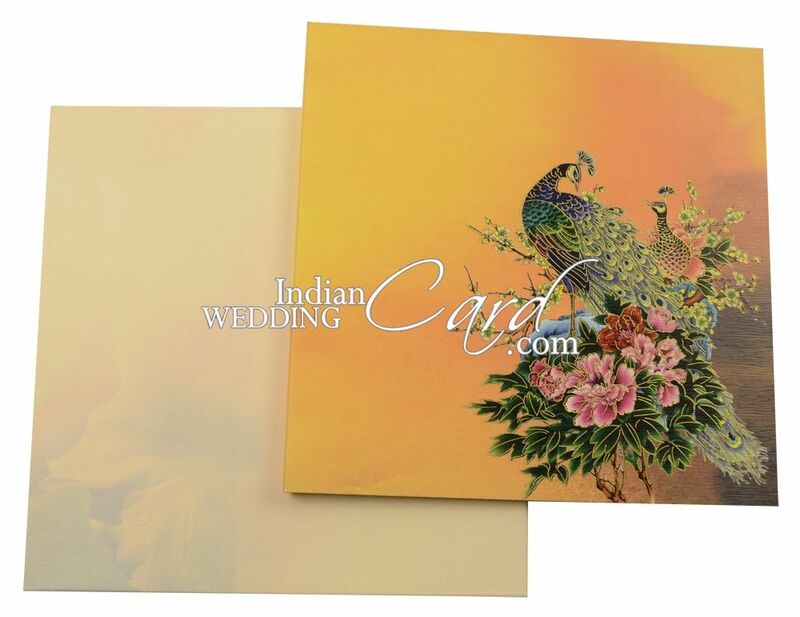 Hardbound book style peacock theme card. Cream textured paper printed with multicolor offset. Gold paper lining for envelope. Silk Screen in color matching to main card.